Synaptics SMBus is a chipset device. If you found a yellow exclamation mark on its driver, there must be be some error on it. This small tutorial is going to show you how to fix Synaptics SMBus driver issue on Windows 10. Read on and choose the way you like to get the correct drivers for your SMBus. 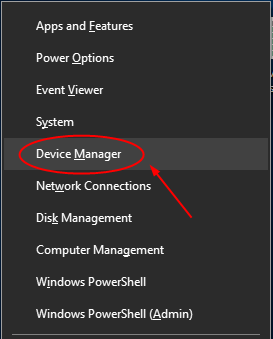 Microsoft will detect the update for your device driver automatically in Device Manager. Follow the steps below to proceed. On your keyboard, press Windows key + X key together to open quick-access menu. Find and expand System devices dialog. 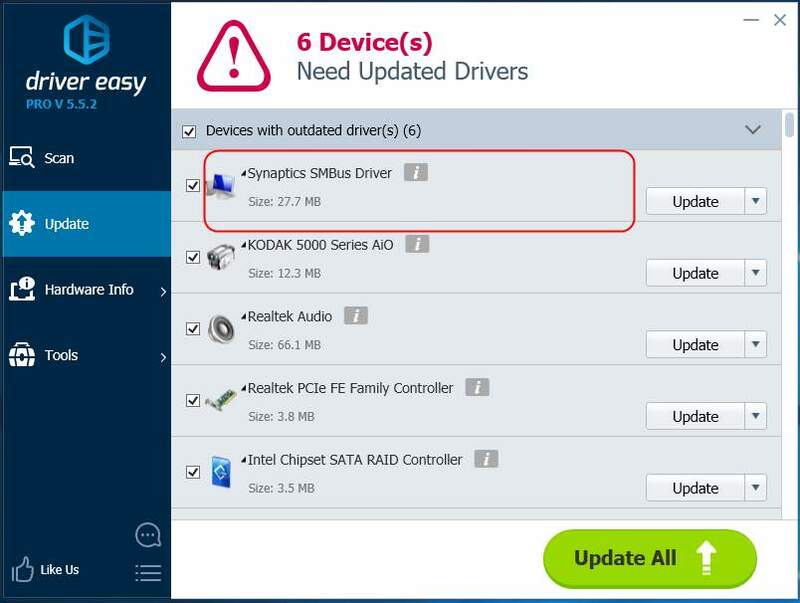 Then right-click on your Synaptics SMBus device to choose Update driver. Then Windows will detect the update for your driver automatically. Note: If you receive the message shown as below, it’s advised to using other methods to update your drivers. Cause for some reasons, Microsoft cannot always find the update for you. Go to Synaptics Resources website. Scroll down to find Windows 10 PS/2 & SMBus Devices. Then click Download with it. After it’s done, un-zip the file and find the .exe driver file for your SMBus device. Then double click it to install it on your Windows 10. As you see, download the driver from official website is really time-consuming and annoying since you should download the whole zip file together. If you want to say goodbye to such driver headache, it’s advised to use Driver Easy to update drivers automatically. Driver Easy is a 100% safe and really helpful driver tool. More than 3 million customers around the world use it now. And it suits any version of Windows operating system. 2) With Scan Now, it can scan out all of your outdated, missing and corrupted drivers and find the correct ones for you in less than 1 min! Your Synaptics SMBus driver is no exception.